The Bureau of Prisons denied all requests for federal defense attorneys and others to enter, but after a judge issued an order, von Dornum was allowed inside. “When I first entered the West Building, I immediately felt the cold,” she wrote shortly afterward in a memo. “The COs [corrections officers] at the lobby desk were wearing multiple layers including scarves wrapped around their heads. Pitch black in cells. Too dark to see medication labels or food given to eat. No ability to make medical requests through the computer system. [Those] who had not previously purchased additional clothes from commissary were wearing only short-sleeved shirt and light cotton pants.” One prisoner “reported that ceiling is leaking over his bed (top bunk) and his sheets are wet, and now getting frozen. He has no other place to sleep.” Another “has Sickle Cell anemia and has not received medical care… Is cold and scared.” Another was “wrapped in towels and blankets. 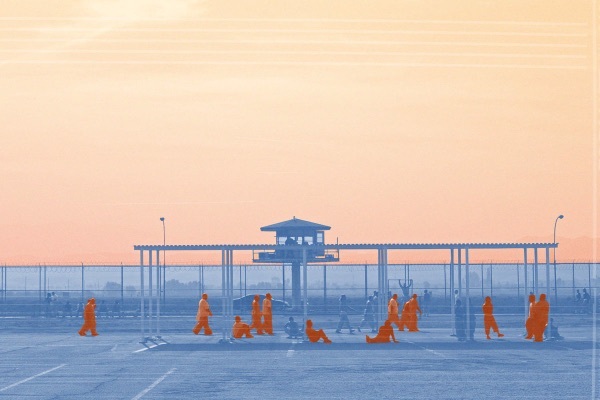 Having trouble breathing [and felt] his mental health degrading from sitting in cell in dark for a week.” Von Dornum later told the Daily Appeal, “One of the most harrowing aspects of my visit to the MDC on February 1, 2019, was seeing assistant warden King roll her eyes as inmates showed open wounds, described their need for psychiatric medications, and begged for light and heat.” Yesterday, the Federal Defenders of New York filed a lawsuit against the federal prison system and the warden. After a few hours there, I went to an event called “A Night of Philosophy and Ideas,” thinking I might be able to turn my attention elsewhere. But it stuck with me. How could people who are responsible for the care and well-being of others become so numb to their pain? What were they thinking? Maybe nothing, I learned. “People who are not thinking are capable of anything,” philosopher Elizabeth Minnich said at the event. Minnich was a student of Hannah Arendt and the author of the 2016 book “The Evil of Banality.” “When we become enclosed in any kind of certainty, we are deadened and can become deadly.” Extensive evils, unlike brief acts of monstrosity, she explained, “involve perversions of whole systems; they are normalized; they persist over time; and most of all, they require vast numbers of people to do their difficult work through that time—day after day after day.” These people might be otherwise decent, she said. But the good news, Minnich told us, was that extensive evils “depend on us, and normal people can stop them.” And this is precisely what some have started to do in the face of inhuman conditions like those at MDC. Just as every small act of degradation toward incarcerated people set the stage for this calamity, so, too, can acts of humanity turn the tide. In 2016, after the National Association of Women Judges found that women held at MDC were subjected to abysmal conditions, including no air conditioning during a heatwave, rotten food, and insufficient medical care, a magistrate judge refused to send a woman there until she was assured that the “unconscionable” conditions were fixed. Magistrate Judge Cheryl Pollak said, “I need to consider the conditions of confinement as part of my judicial responsibility.” [John Marzulli / New York Daily News] This is an option available to judges and prosecutors across the country, every day. Prisoners at Chino State Prison exercise in the yard on Dec. 10, 2010, in Chino, California.